IMAX Cinema0871 902 5756work CinemaThe National Science and Media Museum and Picturehouse Cinemas bring you the best in film from around the world in the Museum’s beloved screens: Pictureville, described by Lord Puttnam as “the best cinema in the world”, the cosy Cubby Broccoli cinema – named after the famous James Bond producer - and Europe’s very first IMAX screen! 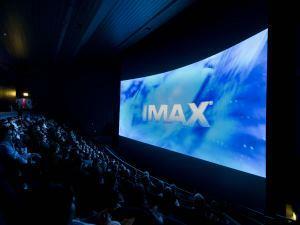 Bradford’s IMAX cinema has undergone dramatic changes in the summer of 2015. With a brand new digital projection system and improved seating, the National Science and Media Museum and Picturehouse Cinemas are now able to provide more new releases on the region’s biggest screen, plus more leg room and a premium area with the best seat in the house! The National Science and Media Museum and Picturehouse Cinemas bring you the best in film from around the world in the Museum’s beloved screens: Pictureville, described by Lord Puttnam as “the best cinema in the world”, the cosy Cubby Broccoli cinema – named after the famous James Bond producer - and Europe’s very first IMAX screen! IMAX short documentaries and educational films continue to screen during the day. Our telephone lines are open from 9.00am to 8.30pm, seven days a week. Please call 0871 902 5756 (calls cost 13p per minute plus your telephone company's access charge). Find all ticket prices on www.picturehouses.co.uk. Picturehouse members receive discounts on tickets, food and beverages and more!